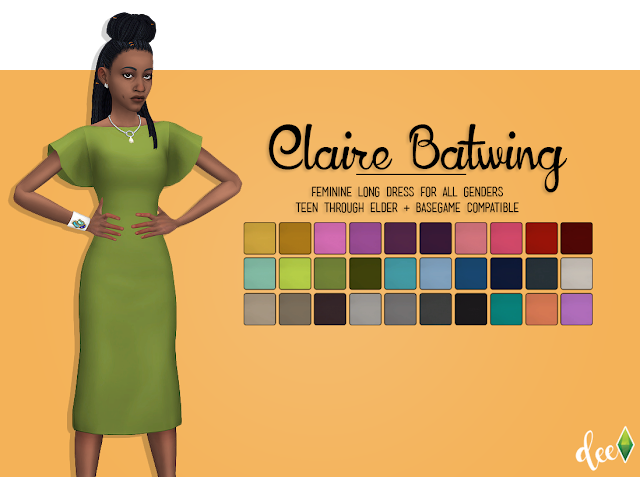 A frankenmesh of my Claire Dress and Batwing Dress! With no seams as suggested by an anon, @teanmoon, and @femmeonamissionsims. Comes in 30 swatches with 27 from @simsrocuted‘s Lisa’s Colors and three wildcards from my collection of palettes.